DOVER — A House panel released to the full chamber Wednesday legislation that would create two new top tax brackets. Currently, all income above $60,000 is taxed at 6.6 percent. House Bill 15 would tax personal income of between $125,000 and $250,001 at 7.1 percent and above $250,000 at 7.85 percent. As of 2018, 16 states had a top tax bracket that exceeded $60,000, according to the Tax Foundation. The bill is the latest effort by Rep. John Kowalko, D-Newark, and other Democrats to force higher earners to pay more to state government. “We need a stable, sustainable revenue source to supplement what I think we have now in Delaware as a rather unstable and not necessarily dependable revenue source,” he said in the House Revenue Committee hearing. A similar bill from Rep. Kowalko, which contains the same tax structure as House Bill 15 but includes tiered reductions on itemized deductions starting at $125,001, did not make it out of committee. Gov. John Carney advocated for closing a gap between revenues and expenditures in 2017 by reducing itemized deductions and raising rates across the board. As the end of the first leg of the legislative session neared in June that year, House Democrats modified his bill by attempting to halve itemized deductions and increase taxes on top earners, but they fell one vote of sending the bill to the Senate. Delaware last adjusted its income tax rates in 2013, when lawmakers increased the rate for the top bracket from 5.95 percent to 6.6 percent. 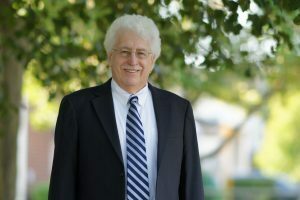 While the support for taxing wealthier individuals more typically comes from Democrats, Rep. Kowalko faced pushback from a member of his party Wednesday. Rep. Quinn Johnson, D-Middletown, cited a 2015 report on revenue that recommended broadening the tax base by limiting itemized deductions and adopting a stricter definition of untaxable retirement income. It notably did not call for raising rates on those making six figures, he said. Many of Delaware’s revenue sources are inconsistent and do not reliably grow with the economy, and while personal income tax is volatile, it is still one of the state’s more stable income streams. Simply increasing taxes on higher earners would not provide the needed stability and could drive wealthier individuals out of the state, opponents said Wednesday. “Ultimately, if this is the only thing that we do, then we will be right back in the same picture,” Rep. Johnson said. In 2016, about 82,000 Delaware taxpayers earned at least $125,000 in adjusted gross income, while approximately 24,000 made more than $250,000. Rep. Kowalko said after the hearing he wants House Bill 15 to receive a floor debate soon. Tax bills require a three-fifths supermajority, meaning Democrats could pass the legislation in the House on their own but could not afford to lose more than one member of the caucus. The fiscal impact of House Bill 15 is not yet known.